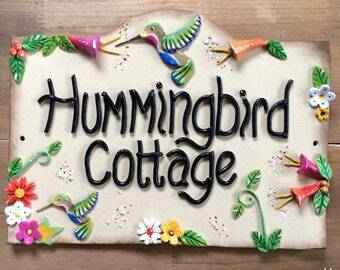 House Number Sign! 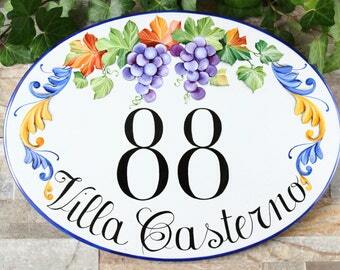 Personalized House Number Plaque. Welcome To Our Home. 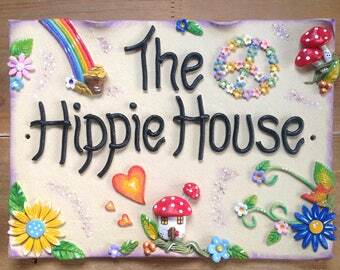 House Sign. Outdoor Sign. Address Plaque. House Warming Gift. 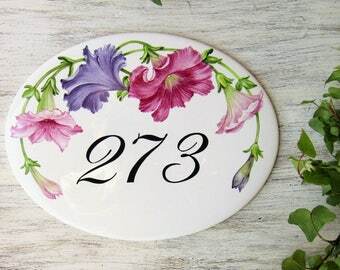 House numbers made from ceramic, house number plaque with Moroccan decor, personalized address sign, Taupe house number sign, 12.2 x 8.2"
House number made from ceramic, house number plaque with Moroccan decor, personalized address sign,MATT GREEN house number sign 9.05 x 12.2"